Love this Cuba feature by Paolo Pellegrin for the National Geographic Magazine. Published in the November issue. Paolo Pellegrin: Cuba’s New Now (NGM) After half a century under Castro, Cubans feel a wary sense of possibility. But this time, don’t expect a revolution. Also in the latest National Geographic Magazine issue…Eugene Richards from Arkansas Delta… his feature mixes current work with photos from the early 70s. Eugene Richards: Return to the Arkansas Delta (NGM) The delta west of the Mississippi River was once a place where sharecroppers lived in segregation and poverty yet forged a vibrant community. Industrial farming has erased their culture, leaving behind endless sky and few people. Eugene Richards documented their world four decades ago. Now he returns to where his pictures began. 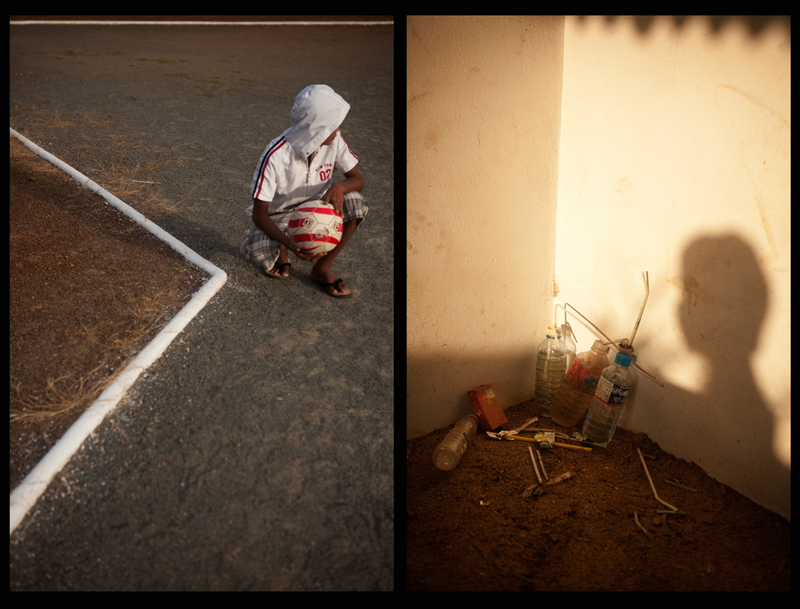 Dominic Nahr’s recent Somalia work shot for Time, now on his agency’s website. New work by Stephanie Sinclair on her child brides project. Magnum nominee Jerome Sessini has been documenting violence in Culiacan, Tijuana and Ciudad Juarez in Mexico for years… He has a book titled The Wrong Side coming out in spring 2013… Some of the work in CNN photo blog..
Shaul Schwarz shot Sandy for NBC News. Adam Ferguson: Lean Times in Greece as Government Cuts More Spending (NYT) entire edit in VII archive here. Also on offer in colour, which I actually personally slightly prefer. Spanish photographer Maysun is a new name to me… Seen plenty of strong Syria work from her recently. George Steinmetz: Sailing the Dunes (NGM) Photographer George Steinmetz has flown over every extreme desert, guided by the shifting sand. Jason Florio: Fighters of the longest war (CNN) The Karen people of Myanmar have been embattled in a civil war with the country’s central government since 1949. It is considered the world’s longest ongoing war. Albertina d’Urso: Sculpting gods from clay (CNN) For centuries, artisans have been crafting statues of Hindu deities on the banks of the Hooghly River in Kolkata, India. This entry was posted in Contemporary Photography, photojournalism and tagged Arkansas Delta, Child Brides, Cnn, Contemporary Photography, Delta West, Endless Sky, Eugene Richards, Features and Essays, Getty Images, Industrial Farming, Jerome Delay, Kieran Doherty, Lowy, Nahr, National Geographic Magazine, Paolo Pellegrin, Photographer, Photographers, Photographs, Photography., Project Photo, Sharecroppers, Trayler, Violence Against Women, Website Photo, West Of The Mississippi on October 31, 2012 by Mikko Takkunen. Inspired by the online virtual world Second Life and games such as World of Warcraft, which both rely heavily on GCI, Kolker sought to create images that were the antithesis of the aesthetic found in these programs. “I wanted to create images that reflected a more mundane nature, as opposed to the more fascinating environments people were experiencing through the anonymity of an avatar,” he says. Richard Kolker’s computer generated image featured in the Oct. 29, 2012 issue of TIME. Richard Kolker is an artist based in the U.K. See more of his work here. This entry was posted in Contemporary Photography and tagged CGI, Cinema 4d, Commercial Photographer, computer generated imagery, Computer Generated Images, Computer Tool, Contemporary Photography, Dark Image, Digital Tools, Education, Empty Classroom, Free Online Courses, Getty Images, Illustration, Imaginary Universe, Kolker, Mundane Nature, Photographer, Photographers, Photographic Background, Photographs, Photography., Profile, S Education, Second Life, Shutter Speed And Aperture, Still Lifes, Vivid Imagination, World Of Warcraft on October 18, 2012 by Feifei Sun. Arantxa Cedillo is one of those unique documentary photographers who has the ability to reinterpret difficult situations into work that is artistic, poignant and meaningful. Her sensitivity to her subjects and her ability to tell stories in unique ways make her a gifted seer. 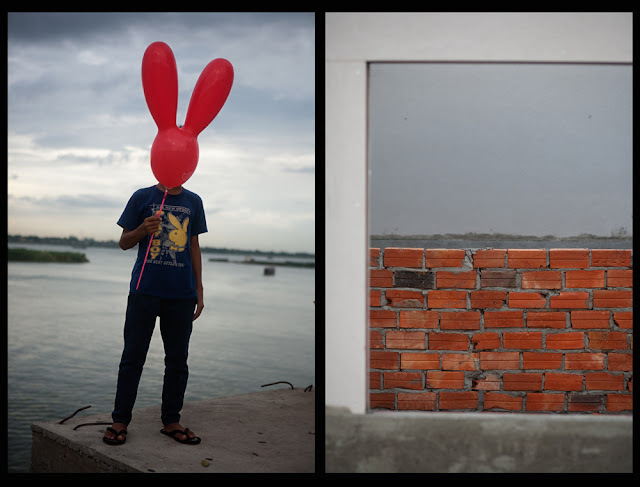 I am featuring her project, Cambodian Children at Risk, where she manages to obscure the identity of her subjects, yet create compelling diptych portraits. Arantxa was born in Madrid and studied the Photojournalism and Documentary Photography Program at the International Center of Photography. Her work has received several international awards such as the Ian Parry Award (2005, UK), the Kiyosato’s Young Portfolio Acquisitions (2005, 2006, Japan), the Magenta Foundation’s Emerging Photographers Award (2008, 2011, Canada), the Alexandra Boulat Scholarship TPW (2008, Italy), and numerous others. Arantxa has been widely published with clients such as Human Rights Watch, Amnesty International, Time Magazine, The New York Times, CNN, New York Magazine, the Sunday Times Magazine, the Christian Science Monitor, GEO, Colors, Le Monde, Marie Claire, El Pais Semanal, Io Dona, The Australian and DU among others. Her work has been widely published in galleries around the world including the Canon Japan Gallery (Tokyo), Getty Images Gallery (London), International Center of Photography (New York), New Orleans Photo Alliance (New Orleans), Center for Photography at Woodstock (Woodstock), Toronto Image Works Gallery (Toronto), Mogliano Veneto (Treviso) and the Royal University of Fine Arts (Phnom Penh). 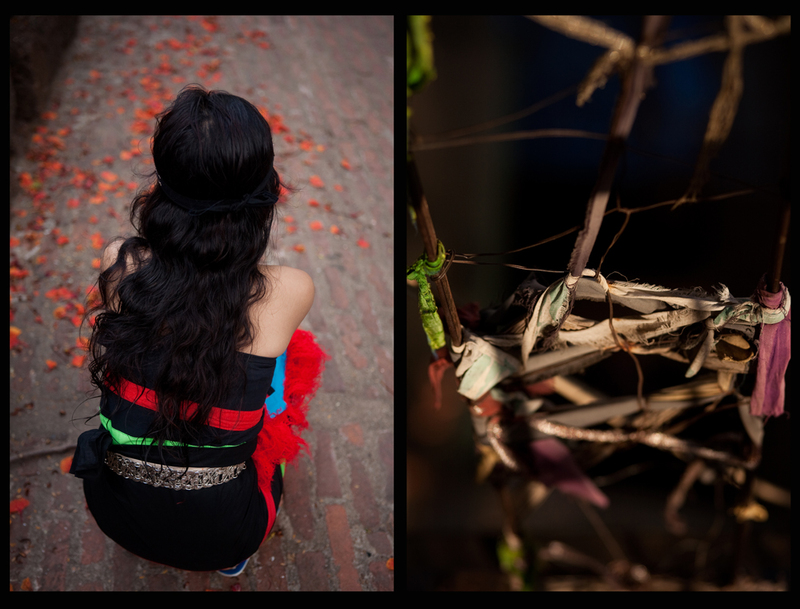 She is currently based in Kathmandhu, Nepal, and her work is represented by Getty Images Global Assignment. Cambodian Children at Risk it is a project produced, within the IOM “Human Rights Protection for Trafficking Victims through Legal Support” Project and funded by the Italian Cooperation.The primary concern was to present children at risk without showing their faces or any other feature that could lead to their identification, which was a very significant and creative challenge. It was done working with households and local communities in Cambodia to show the lives and livelihoods of children at risk. This project was produced in collaboration with Damnok Toek, Krousar Thmey and Mith Samlanh, and with the support of the Royal Government of Cambodia. Malis was alone and lost in a foreign country, not knowing which path would take her home. Malis’s family were very poor, with no rice, no land to grow food, no tools for farming. When she was in Grade 2, she dropped out of school and the whole family went to Vietnam to beg. When Malis was about ten, she decided to go back with her aunt to earn money for her parents by washing dishes. At the border, the police let her through, even though she had no papers, because she was very small. Her friends introduced her to a family where she washed dishes and mopped floors for a month, but then they asked her to go back to her family in Cambodia. Malis went home, but later returned to Vietnam with a broker from her village to work as a beggar. Shortly after she arrived, Malis got lost in Ho Chi Minh City for a year. A “black lady’ (who had darker skin than Malis) took her to a household in southern Vietnam, which used to be Cambodian territory. She did housework for a Khmer-speaking family, earning 20,000 Vietnamese Dong (US1) a day. Although the family did not mistreat her, Malis was afraid that they would keep her forever. The broker did not help her to go home. In fact, when her parents went to court in Cambodia to try to trace her, the broker ran away from the village. Champa was passed around from family to family, trapped and mistreated, until she finally found a place to call home. When she was three years old, her mother gave her to another family to take care of her. When she was eight, she was passed on to a second family, and when she was 11, to a third. It is believed that all the families beat her. One day when she was washing the dishes, the mother beat her, so she ran away. She slept outside and people recognized her, so she ran away again. An NGO found her and contacted the third family, but when the mother arrived Champa ran away again. She went to a pagoda and was cared for by the nuns for a few weeks, but girls are not allowed to live in pagodas, so the monks were not comfortable with having her. The NGO contacted Damnok Toek, who took her to the Day Care Centre. Chan became an addict when a gangster stole his money, bought drugs, and forced him to try them. His father died after falling from a palm tree. 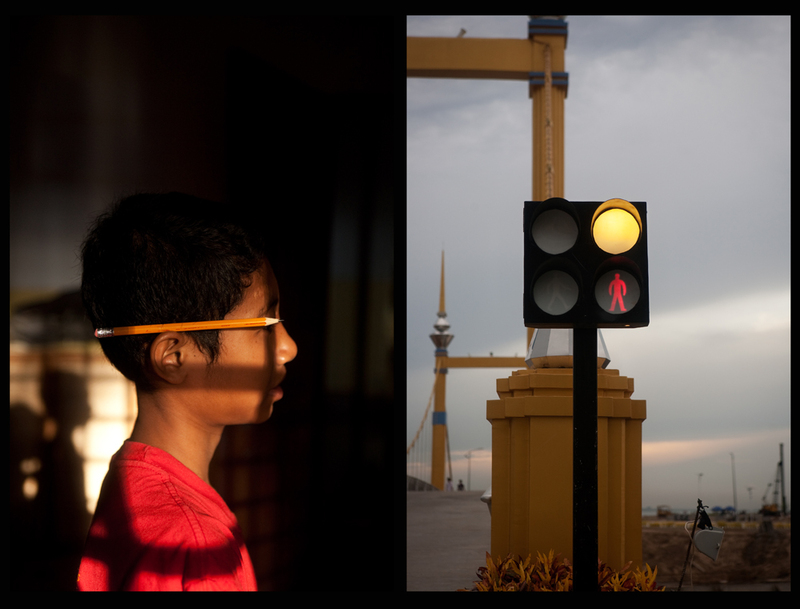 When he was eight, his mother and sister forced him and his two brothers to go to Phnom Penh. There he earned about 6,000 riel (US 1.50) a day begging, while his brothers earned 10,000 Riel (US 2.50) washing dishes. They all slept together on the street. Chan started working in front of the Royal Palace, but gangsters beat him up and took his money. One night, they put tissues between his toes and lit them. He got scared, and started walking around all night to stay awake. The gangsters forced him to sniff glue and use yama. He began to want to use it because it made it possible for him to work at night, and made him feel happy. A foreigner took him and one of his friends to a hotel, but the police arrived before anything happened. He decided to stop using yama. Chan fell sick, and his sister-in-law, who sold toys in front of the Royal Palace, took him to Mith Samlanh. Eventually, his sister-in-law asked if he could live there. 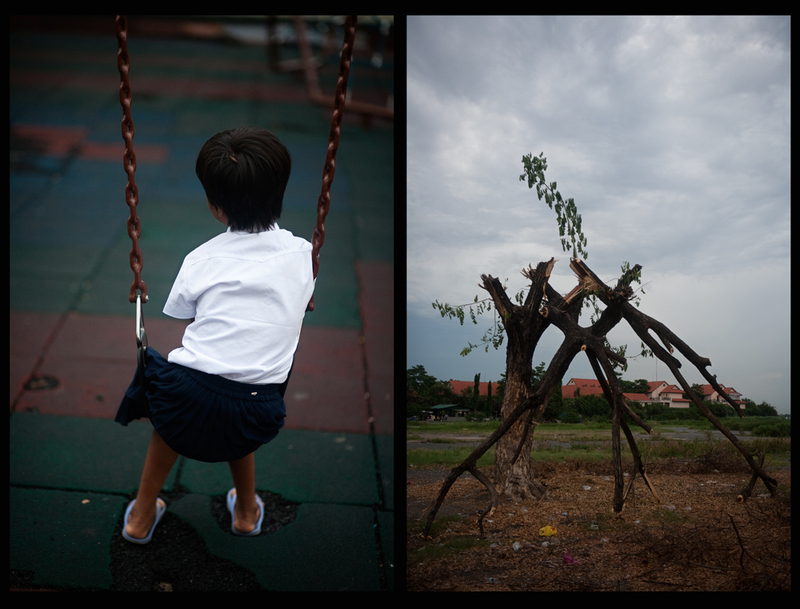 Now he studies part-time at Mith Samlanh and part-time at public school, where he is in Grade 4. Kdeb was preyed upon by a foreigner in public places, because he was living in the open, with no privacy and nowhere to find refuge. He came to Phnom Penh with his grandmother when he was ten because his father beat him. He collecting recyclables and helped his grandmother to sell flowers in front of the Royal Palace, where they lived on the street. An American man met him while he was taking a bath outside the Palace. The man took him for walks, bought him food and new clothes, took him to study English, and abused him. About eight months later, the man was arrested and Kdeb was asked to testify against him. The man was sent to prison and ordered to pay compensation, but it is unclear if this was ever paid. His grandmother rented a place near the market, and Kdeb lived there with her. But the situation was not safe because the police “cleaned the streets”, so Mith Samlanh moved him to the centre, where he lived for about six months. He now lives with his grandmother again and continues studying at Mith Samlanh. Dong spent many years confined to bed, but now he is well-known for performing the peacock dancer. He has been deaf since birth. He is one of seven children. One of his elder sisters is also deaf, and studied at Krousar Thmey, so she taught Dong sign language. As a child, he was never discriminated against. In fact, people liked him a lot. His parents believe that education is very important, because their children it enables their children to live like other people and be included in society. Dong was seriously ill as a small child. He had an operation and needed to stay home for a long time. Five years ago, when he was ten, he started studying at Krousar Thmey Since starting school, he has become more polite but he does not play as much as before. He is a normal child and a good student. He has many friends and likes playing games, like bowling and badminton. Dong has learned how to be a ‘peacock dancer’ and usually train two hours a week. Now many people in the provinces have seen him and know him. He likes drawing a lot, and when he comes back home from school he either watches TV or dances. 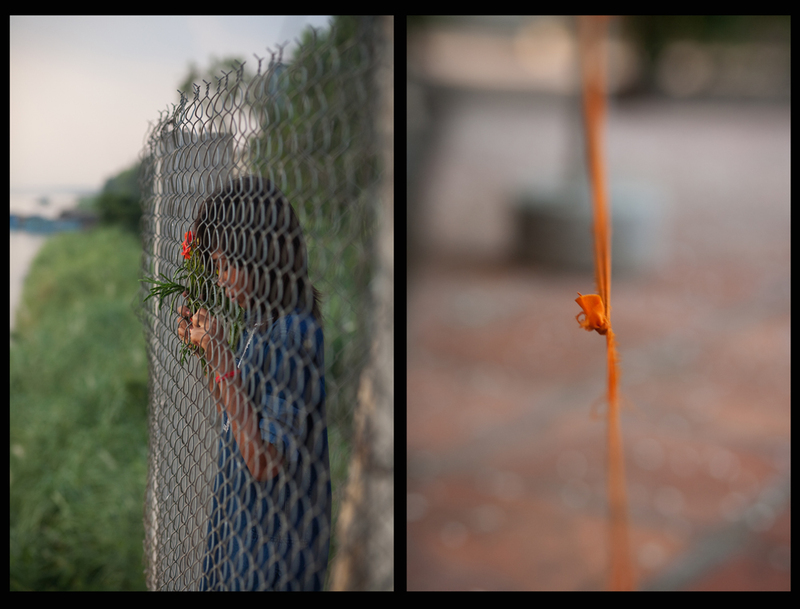 Klok spent four years in Bangkok, begging on bridges, to support his parents and six siblings, under close watch by the broker who took him there. He is one of seven children in a very poor family, has a deformity of his upper limbs. When he was seven, a broker told his parents that a disabled child could earn a lot of money begging in Thailand. His parents agreed, and paid the broker 3,000 Baht to take him to Thailand, which they promised to pay off from his earnings. In Bangkok, Klok got up at 5am every day and worked until 10am, then worked again from 2pm to 6pm. He used to sit down on the street, usually on a bridge, hold an empty bowl and thank people when they gave him money. Every hour or two, the broker came around and collected the money from the child beggars. Klok usually earned about 1000 Baht (US$30). The broker gave him 100-150 Baht (US$3 – US$4.50) and kept the rest. 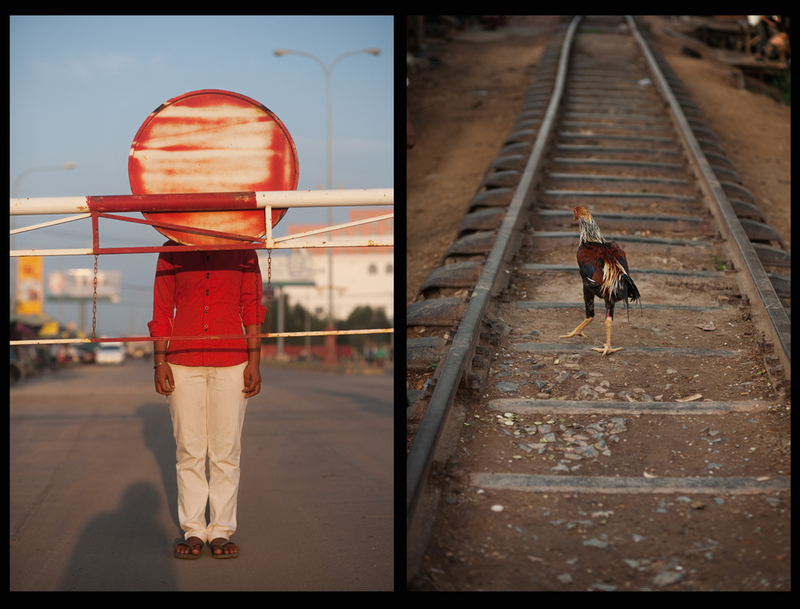 Klok rapidly became the main breadwinner in the family, often coming and going to Thailand. He had enough to eat, and had friends and learned to speak Thai, but he did not like begging. His parents did not like it either, but they had no choice. When he was 11 years old, Klok was caught by the police. He was put in a detention centre with about 30 other children. Some tried to escape or fought with each other, but Klok did not do that, because he wanted to go back to Cambodia. Trop and his siblings never had a home of their own. Without the kindness of friends, they would have been living on the street. Trop is the youngest of three children, whose parents died when the children were small. They went to live with their grandmother, who worked as a cake seller, but she had no house so they used to live with the neighbours. Trop was happy to help his grandmother sell cakes, and to clean the house. The two older children went to study at Mith Samlanh. Then their grandmother became very sick, so she and Trop also moved to Phnom Penh to live with their mother’s friend, their “godmother”. At first his grandmother could not sell anything and she was very sick with a muscular disease, so he gave her massages and did everything he could to help. Trop started studying at Mith Samlanh two years ago. His brother studies laundry and his sister studies hairdressing. Trop has now been reintegrated into public school, where he is studying in Grade 5. He is very honest and gets top grades every month. His friends like him because he is very clever, and the other students often ask him for help. Kolap grew up working amid garbage, but education is now giving her a chance to grow in healthier soil. Her father was an alcoholic who beat his wife and never shared the little money he earned. When she was four, her parents separated and her mother took Kolap and her younger brother to live with their grandmother, then went to look for her husband. Neither of the parents has been seen since. Kolap’s grandmother worked as a street hawker around the ferry terminal area in Neak Loeung. The household now had ten mouths to feed. Kolap helped around the house, but when she was seven, her grandparents decided they needed her to earn an income too. Kolap got up at 4am every day to go out scavenging with her aunt, and went back to the house twice a day to cook rice for the family. She usually earned about 2,500 Riel (US 80 cents) a day, but if she did not earn anything she was afraid to go home. A social worker from Damnok Toek met Kolap and gradually persuaded her grandparents to let her do classes at the Drop-In Centre for two hours a day. Late last year, she began attending full time. Damnok Toek supported her with her school materials, meals, clothes, healthcare and counseling. She goes to school very early so that she can still go scavenging, and earns about 2000 Riel (US 50 cents) a day. Bopha felt closely tied to her father, and always tried to care for him, even though he did not treat her well. Bopha’s mother abandoned the family when the children were small. Their father brought them to Phnom Penh to live with her aunt, but her father, who is mentally ill, was rough and abusive, so her aunt kicked them out. They lived on the street, working as beggars and scavengers, and sometimes took care of people’s shoes at the pagoda. Their father would talk loudly to himself about politics and his children, and get into fights. Bopha was scared of him, because he would beat them and swear at them, but she still wanted to take care of him. The Mith Samlanh staff asked her aunt if the children could go to study at the centre. 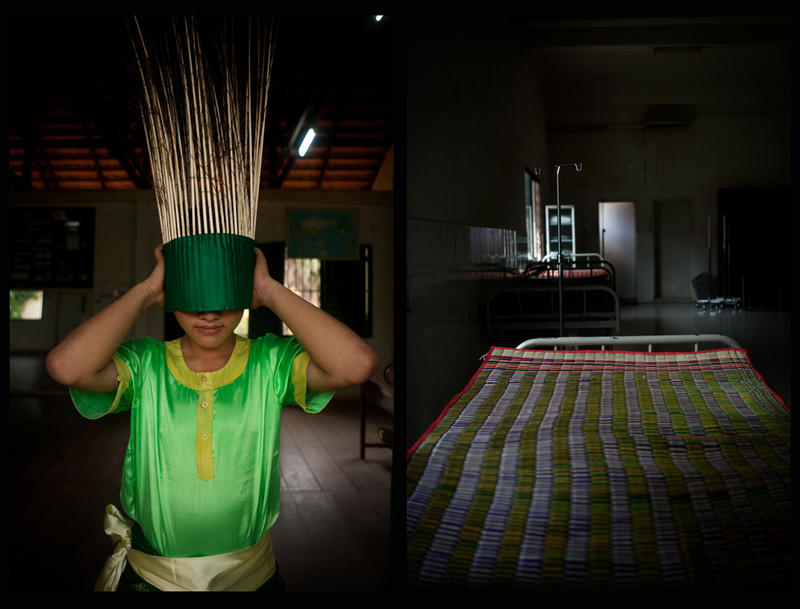 Bopha’s father claimed the children had been taken away from him by force, and one day he beat the security guard. He complained to Court, but when the Court asked them where they wanted to live, the children chose Mith Samlanh. 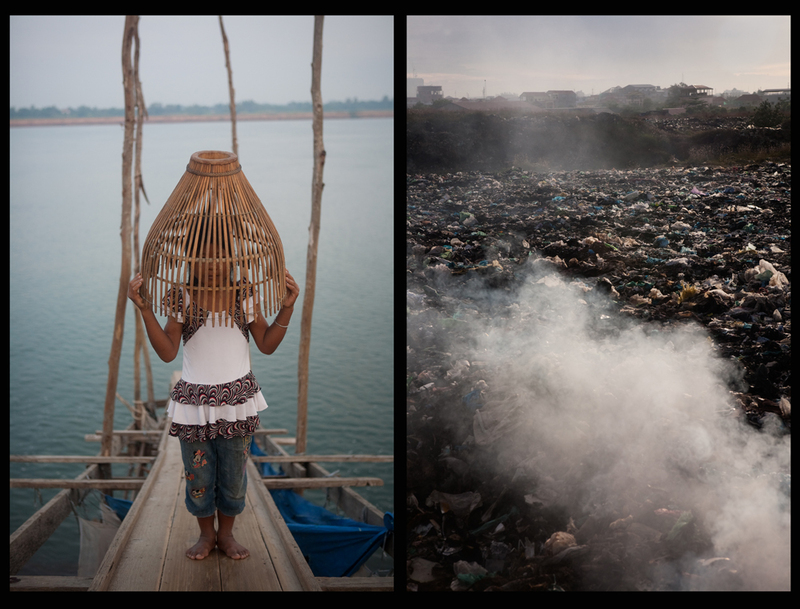 When Bopha was 11, her father had a job and a rented house. Bopha lived with him for two years, until it became impossible. She went back to Mith Samlanh, but asked for permission to visit her father once a week to help him with his job. After he assaulted her, they refused to allow her to go anymore. Champey probably lost her sight when she was left under a tree as a baby. Champey was abandoned as a baby by her mother under a tree near a lake. People say that insects ate her left eye while she was lying there, and she can only see a little through her right eye. Champey is also deaf. When she was four years old, an orphanage found her and brought her to Krousar Thmey. A Korean NGO took her to Korea to have a cochlear implant installed. This is an amplifier that is surgically inserted into her ear. Champey has been studying at Krousar Thmey for five years. She is slow at learning because she cannot see much and is still in Grade 1, but she is a very good student. She always sits in the front row of the class, does everything at school and participates in all the activities. Champey likes reading books and drawing pictures, and playing as if she was cooking. The teacher says that she cannot control her sometimes when she doesn’t concentrate. When she needs something she just goes and gets it. For example, when she is hungry, she goes to the street and begs. Now she is changing that attitude a bit and has started asking for things when she needs them. Champey does not know why she cannot see. She is a happy child, and never asks questions about what happened to her. 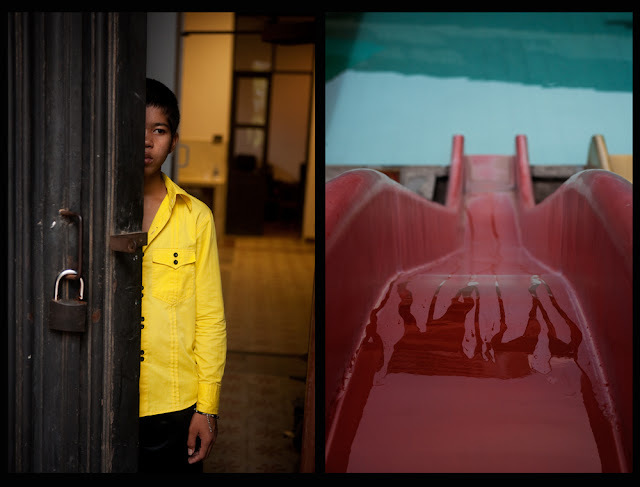 This entry was posted in Contemporary Photography, L E N S C R A T C H and tagged Alexandra Boulat, Cambodian Children, Canon Japan, Cedillo, Christian Science Monitor, Cnn, Contemporary Photography, Documentary Photographers, El Pais Semanal, Getty Images, Global Assignment, Image Works Gallery, International Center Of Photography, Japan Gallery, Kathmandhu, Magenta Foundation, Mogliano Veneto, Monitor Geo, Phnom Penh, Photographer, Photographers, Photographers Award, Photographs, Photography., Portfolio Acquisitions on October 17, 2012 by Aline - lenscratch.blogspot.com/.